The IT Media Group leverages its knowledge of IT management issues and its extensive connections within the IT executive community across Canada to help vendors build bridges with that community, demonstrate thought leadership, increase brand awareness, and enhance business opportunities. These private roundtables on timely and compelling topics are attended exclusively by CIOs and equivalent senior IT executives. One or two subject-matter experts, provided by the sponsor, sit as equal contributors at the table and share their knowledge/experience. These signature breakfast, lunch or dinner events bring together mid- to large-sized groups of executives with a keen interest in leading-edge technologies and new ideas for advancing the enterprise through the strategic use of IT. Our industry-savvy master-of-ceremonies engages the sponsor’s subject-matter expert(s) and a third-party expert in an informative conversation on the topic at hand, then opens the floor to questions. Nothing complements fine food like great conversation. These exclusive events bring together small to mid-sized groups of key IT influencers for excellent cuisine, superb peer networking, and a content-rich presentation/discussion around an important technology or issue. The IT Epicure can also take the form of a wine-tasting, scotch-tasting or similar event. These “roll up the sleeves” two-hour workshops are designed to help senior IT execs succeed in delivering various types of technology projects or solutions. Anchored by one or two brief presentations by CIOs who have successfully undertaken such projects/implementations, these workshops promote highly interactive information exchange among the participating CIOs. Sponsor signage, literature placement and participant contact information available. Having a respected third party moderate your event or give a presentation on your behalf can boost interest and add an extra measure of authoritativeness to the activity. Our high-profile hosts and presenters have a wealth of experience and are known across Canada. Customer-centric promotional materials produced by marketing-savvy writers who understand IT management. Communications with class that help your company put its best foot forward. 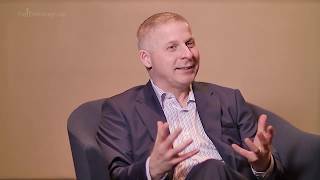 Paul Lewis, CTO, Americas at Hitachi Vantara describes the value of participating in and sponsoring CIO Roundtables.